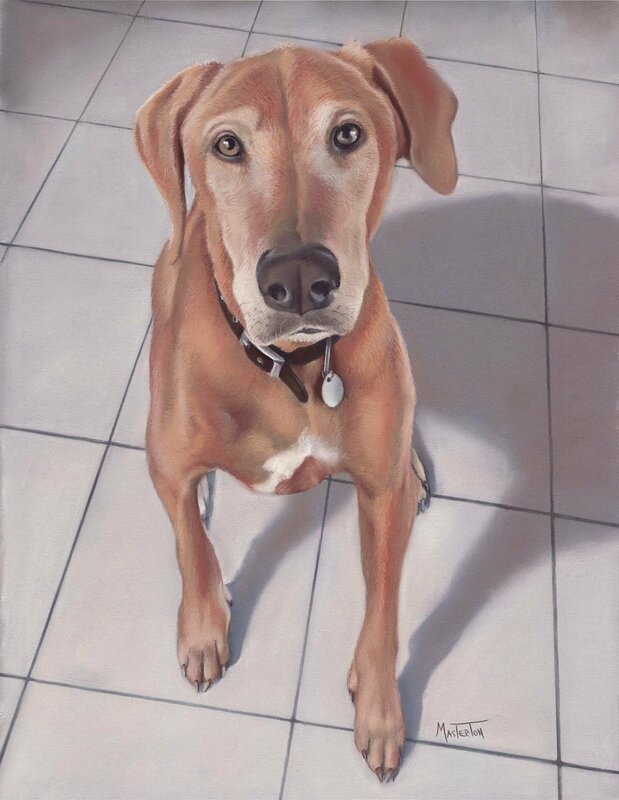 From your photo I'll create a beautiful original pastel painting of your dog. Provide me with your favorite pic of your pooch that captures his/her personality. Size (unframed) is approximately 12" x 16". Framing and matting would add about 8" to each dimension. Prices start at $875 + Shipping (for one dog on the 12" x 16" size). 25% deposit required after acceptance. Installment payments can be arranged. Payment in full needed before delivery. Professionally shot photos aren't necessary, but should be of good quality (please no flash!) I took the photo I used for Templeton with my smartphone. Use this form below to submit your inquiry. Acceptance of a commission is not guaranteed and depends on time frame, work load of the artist and quality of the photo. I will contact you regarding your inquiry. If accepted we'll work out the details and payment of the commission and provide you with a special page to make online payment of the deposit and balance.